Small amounts of energy storage (a few hours) can shave off peak-demand at certain times, like during summer, or to smooth out short term variations in supply or demand. In addition, it could be used to provide simulated inertia response for solar panels, improving system stability. Newer wind turbines already provide this functionality by using the turbine itself to store energy. Power converters can react much faster than physical generators during transients, since a converter can pretty much react instantaneously, whereas the phase angle of a generator must physically rotate to change electrical power. That means during faults, wind turbines or energy storage devices (i.e. utility scale batteries) can have much better performance(!) than conventional generators. For these reasons, even small amounts of energy storage can significantly improve renewable penetration, particularly with solar (since it doesn't have any rotating parts). They can also act as a buffer for fast charging stations, minimizing transients seen by the grid. So... expect to see different energy storage options be implemented depending on what the energy storage is trying to be achieved. I think most arguments for and against energy storage are missing those points. And instead argue for or against using massive amounts of energy storage to buffer long term (>12 hours if not days) variations in renewable energy. That's not particularly likely and it's not what energy storage is going to actually be used for in the real world. Over longer time-scales it is necessary to match generation with demand, so some form of flexible energy source will be required. Depending on whether short term variations in renewable energy output becomes an issue (or the lack of inertia of some renewables), or whether long term mismatch between demand and renewable supply becomes an issue, then different energy storage options will likely succeed before others. The former is likely to favour storage options that have a higher power density, the latter will favour higher energy density. If the goal is to implement as much renewables as possible (it is reasonable that some countries will attempt to go this route), then which will occur first? The former is also somewhat dependent on how systems which improve system stability are rewarded by the rate structure. Wonder if there's any studies on this? Scott --- Rate structure is an interesting topic for another thread. Go ahead and start one. This thread is supposed to just be about Utility Scale Batteries. Thank you. Sure, but it's rather difficult to have a discussion of one without the other. They are linked. We have sun as constant energy source available for a part of the day and are using the firewood produced by it as well as the fossilized biomass for fuel. Sometimes run short and at other times the combustion products are too much. Then we go for hydro power or nuclear power. We could get more power from ocean currents but they may be a bit far. Our heavy and increasing demands will need concentrated production and distribution. Electricity storage is good only for local use. Utilities can increase production to meet the demand. (ANL used to run Argonne-West, where EBR-II was built). 48 kWh packs will allegedly cost around $ 8000 USD to produce. Per capita electricity consumption in Australia is 10,712.18 kWh/year or 29.348 kWh/day, or an average power of 1.18 kW. Enough batteries for 24 hours storage for one days consumption should cost $5500. Large scale wind turbines are around $5000/kW(average output power), so that's $6000 per person in wind turbines. Total cost: $11500 per person, system should last 25 years. $1.3 per day. Add in 20 c/kWh transmission cost and that becomes $5.87 per day. Prediction: Electricity costs in the future will be dominated by transmission costs (assuming the grid is still running) rather than the cost of the source. (Indeed the recent spike in electricity prices which was blamed on the carbon tax was due to a rise in transmission cost). "So where are we today in terms of cost per kWh to use batteries to store power and, in the case of intermittent technologies, firm power? For utility scale battery systems, expect to pay between $1,000/kW and $4,000/kW, according to the Electricity Storage Association. The DOE’s optimistic assessment estimates those costs will drop to around $500/kW by 2012." Are they talking about per kW or per kWh? Also battery cells for electric vehicles are already ~$350/kWh, they can typically discharge at 3C continuously with effectively no cooling. That comes out to $120/kW. Now, obviously that doesn't include land, the building, power electronics, battery packaging / BMS, and grid connection. Realistically, $500/kWh is probably in the same magnitude as where we are today. Power electronics, cells, and cell packaging are improving. Scott --- Capital costs for generators are per kW. I am aware. However in the source they asked what the cost was per kWh for storage systems (where cost per kWh is more relevant), then proceeded to give cost per kW. It therefore becomes difficult to decipher what exactly they were talking about and if it was a typo. It is imperative within energy discussion that people know the proper use of units and what they mean. For a storage system one needs more: lifetime storage cycles, percent recovery, energizing and retrieval rate, possibly energy density. Although it comes out to $1500/kWh. As one of the comments points out, if you assign the entire cost of the Nissan Leaf to the capacity of the Nissan Leafs battery, it comes out to $1500/kWh. So then the question becomes - where exactly is (at least half, probably 2/3) the cost for these facilities going? It's not the cells themselves. Amory Lovins is at it again, and claiming renewables don't even need grid-scaled storage! Engineering.com is promoting this piece, popular on youtube. The scary thing? I want it to be true, because Aussies *hate* nuclear power with a passion. Ahh yes ... intelligent routing of electricity. There was an RFC for that. RFCs are the standards documents that define the protocols used in the internet (and other stuff). Anybody who has worked in data comms will appreciate the humour. Others may also. The author gets the style exactly right. Elon's going to build a lot of electric cars. A lot! So, assume that they build enough wind and solar to run America during the day. That's 1 grid's worth of electricity for daytime use, pretty much. Surely part of that electricity is building cars? If so, then how much more electricity does it take to build an EV over a Internal Combustion car? EROEI = OUTPUT / (PV or Wind + STORAGE )? Why would we still need extra backup if the whole fleet were electric, storing 10 to 12 times the grid capacity, and making money for owners selling electricity back to the grid during peak demand periods? Most cars are parked, and could be available 23 out of the 24 hours. A fleet of electric cars would be equal to 10 to 12 times US electric grid capacity. And the service car owners provide to utilities is so valuable, you may have your electric bill credited 2 to 4 thousand dollars per year, just to have it plugged in when you’re not using it. Charging and discharging to keep the grid up is going to be hard on batteries. If it is worth to the utilities to pay it, they may as well just buy new batteries for storage. In fact, they are doing that, but the Tehachapi storage plant is costing an absurd $1,500/kWh. It looks like the proposed Long Beach facility will be much cheaper, though. 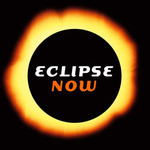 eclipse --- But not utility scale. Yes, I hear you. But it might contribute to the myth that we can do without nukes, as people might end up seeing more off-grid homes. Given the discussion about the EROEI of the whole system, the reality is that this might just be coal dressed up as solar + storage! Actually, they're going for utility scale! Just watch the video here. Tesla will also be offering utility scale storage for $250/kWh. Not sure if that's including installation or not (and other said costs) but it's likely they will hit $150/kWh as battery technology incrementally improves, mass production kicks in, and power electronics improve. You can do a lot of interesting things with batteries, such as frequency regulation, improving system response to transients, and strategically taking the load off congested transmission lines during peak time. It might even be cheaper than load following nuclear power stations, thereby nuclear plants can keep a very high capacity factor. Either way, the amount of batteries implemented for storing electricity is going to explode, it's inevitable and unstoppable. Will it make 100% renewable viable? I don't know, but certainly even if the answer is no that doesn't mean they aren't useful. Also imagine what $150/kWh would mean for electric cars. $6000 for 40 kWh, but that's another topic. Scott. You say that so-and-so can produce utility scale batteries for $250 for a kilowatt-hour of storage capacity. But do they say, "utility scale"? The catch is, a few kWh is not utility scale. If you complete the arithmetic required to cost such a battery at utility scale of say, a gigawatt-week, you would come up with a ridiculous figure. You have to multiply it by a million because it has to be a utility scale, and then multiply it by a week because it is renewables you're backing up. That's a factor of 200 million, putting the familiar concept of a "battery" completely out of the ballgame. Now if you multiply the numbers together, you end up with $50 billion. That is ten times the cost of a nuclear power station that would provide not just a week of gigawatt output, but several years between fuel reloads. CyrilR has already said this somewhere up thread, that a nuclear reactor is a battery. That is, the only battery of utility scale is a nuke. Yes they do say utility scale. 250 kWh per module, easily scalable upwards by adding more units. They have already installed several of these at their factory. The probability it will be sunny on any given day is high and it is certain that sun will go down at night. The probability it will be cloudy for two consecutive days in a row, is lower. The probability it will be cloudy for a week is low. It therefore is immediately obvious the more storage you add beyond storing solar for the night after a sunny day, then the less and less it will be utilized and the less practical it becomes. When you add in multiple sources of different types, perhaps ovebuilt a bit over a geographically large area (yes I am aware this adds to cost), with some dispatchable sources such as biofuels (yes I am aware how hated they are), geothermal, and hydro, then the probability of going longer periods of time without generation becomes lower, and therefore the less fossil backup is needed. You have an assumption that a weeks worth of storage is required, I don't think that will ever be implemented because it's obviously unfeasible. But what happens if you have perhaps 12 hours worth of storage? How much would that help? How much natural gas would you have to burn as backup? How far would perhaps 12 GWh take 5 GWe (nameplate) of rooftop solar PV scattered across a state? That's really what I want to figure out, maybe I'll actually have a serious attempt some time in the future. 100 kWh, not 250 kWh. - Firm up renewable generation by reconciling the intermittency of power from these sources and storing excess capacity to dispatch when it’s needed. 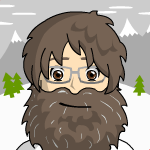 - Increase resource capacity. Tesla Energy for Utilities acts as on-demand distributed power generation, contributing to the overall generating capacity while adding resiliency to the grid. - Ramp Control. Tesla Energy for Utilities can act as a buffer while the power output from a large generation source is ramping up or down, delivering power instantly to smoothly transition output to the required level. - Improve power quality by preventing fluctuations from propagating to downstream loads. - Defer costly and time-consuming infrastructure upgrades.Manage peak demand by deploying power within seconds or milliseconds. Scott -- Utility scale batteries are a fiction created by the 100%-renewables movement so they can claim to be able to supply power to a grid whenever renewables can't. If they (or you) propose a storage facility of 12 GWh, it would just get into the ballpark, but at that price of $250 $/kWh, would still cost something like $5 billion for a small town grid, much more than a small nuke. If Tesla's sales talk quotes 100 kWh as being "utility scale" storage, they are misusing the word "utility", confident that we are too gullible to do the arithmetic and catch them out. Whether 100% wind-and-solar or nuclear or carbon-based, a utility is committed/required/mandated to provide power to a grid 365/24, including a provision for something like a once-every-ten-years cold spell of still, overcast weather. In a 100% wind-and-solar-only world, the reserve to cover that ten-year event would have to be storage, costing interest for all of those ten years that it isn't used. As you say, it just isn't going to happen. On those costings discussed, it would be cheaper to have nuclear throughout, with some over-capacity as the reserve. If the utility cheated on the "100%" commitment by having gas turbines as backup, the bean counters could decide whether to pay interest on unused gas turbines or on unused electrical storage. On the costs just discussed (storage being more expensive than even nuclear) the answer is clear – gas plant would be selected instead of storage. Even when storage provides only a minority of backup power, gas must supply the rest, and the bean counters would make the obvious choice between paying constant interest on extra storage or paying for occasional fuel for the gas turbines that have to be there anyway for when the storage runs empty. By the time the accountants had finished with a system originally promised to become 100% RE, we would end up with a maximum of 40% direct renewables (limited by grid stability), no storage and 60% gas. Were a change of government to relax the requirement for a maximum of renewables, if the interest on the renewables equipment is more than the cost of gas saved, the carbon/non-carbon ratio would worsen further. With a little bit of blustering and a lot of big bills, they would persuade us to use the much cheaper coal instead of gas. Heck, that's exactly what is happening in Germany right now. They are not taking care of the greenhouse! NICE, France (Reuters) - A major pilot project by Europe's largest power network operator to integrate power from rooftop solar panels into the grid has shown that battery storage of renewable energy is not yet economically viable in Europe. "From the Nice pilot, ERDF has learned that battery storage in Europe costs 500 to 1,000 euros per kilowatt/hour (KWh), with an extra 30 percent for installation and the inverters that turn direct current solar power into the alternate current used on the grid, an ERDF official said." Why do "Aussies *hate* nuclear power with a passion"? Asteroid Miner --- That is off-topic for this thread and, I opine, the Energy section as a whole. Would $250 / kWh do the trick? Mature (retired) UK postgrad with a keen interest in energy, and particularly renewables. GM lets slip it will be paying $145 / kWh later for lithium-ion cells for the new Bolt electric vehicle. This is a contract price for later in 2016, not an estimate. GM estimates that the price will reduce to $100 / kWh by 2022. 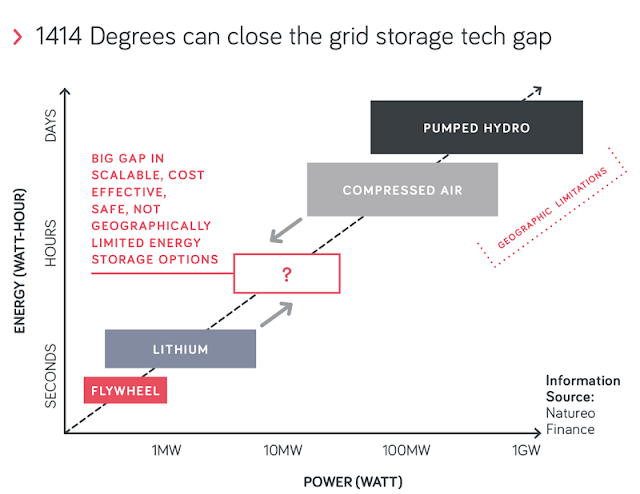 There are a few considerations for use for grid storage. The cell price is not a battery pack price. The cells need temperature coddling and probably a restricted depth of discharge for use in an EV which requires extra hardware and cost. For grid use control hardware, environment control and power converters are also required. However, cars are used for typically 4 to 10 years. Assuming this applies to EVs too, at some point in the late 2020s used batteries with perhaps 70% of their original capacity will become available to use for grid storage at a fraction of the then current price for complete new EV batteries, assumed here to be $80 / kWh. Let's assume we get the complete but degraded battery packs for one third of $80 / 0.7 per kWh = $40 / kWh by 2030. With suitable temperature and depth of discharge coddling, such batteries can last a few thousand cycles, so, if the inverter hardware is not too expensive, now we have a high-volume, cheap source of batteries for grid storage. As an assumption, for the USA we might get 70% of 230m cars x 50kWh/battery / 7 years car lifetime = 1.150 TWh per year of capacity from this source, but maybe we only want to cycle it to 50%, so call it an addition of 500 GWh / year. If we can get 5,000 cycles at one per day out of it before recycling the materials then it will last 10 years, so we will accumulate a total of 5 TWh of storage capacity at $40 / kWh for the complete packs. We will probably hit that figure some time in the 2030s. USA daily electricity consumption is around 10 TWh. This may grow in future with EV charging and more use of electric heat pumps in winter to replace boilers for space and water heating. The cost per cycle will be $80 / 5000 cycles or 1.6 cents per cycle for just the storage medium to which costs of other hardware related to the power output must be added. This is pretty good and it is difficult to rule out this storage being economic. It's not enough for storage to handle the week or two of low renewable generation. It will need supplementing with renewable hydrogen electrolysis, storage and generation from hydrogen-compatible CCGT. But because it is enough for around half a day of generation. It will cover the vast majority of the gaps in renewables generation which are less than 24 hours long. The remaining gaps of more than 24 hours (and maybe up to 2 weeks) will be down below 5% of the time. This means the end to end inefficiency of renewable hydrogen storage (40-45%) won't matter too much, and the capital costs for some highish fraction of peak load capacity clean generation from hydrogen-compatible CCGT are going to be a fraction of those for the wind and solar power the system normally operates from. So renewable hydrogen second-tier storage backup is going to be economic too, if required only 5% of the time. In short you have a very plausible economic solution for all-renewable energy without even considering compressed air, hydro or vehicle to grid. ...cars are used for typically 4 to 10 years. Assuming this applies to EVs too, at some point in the late 2020s used batteries with perhaps 70% of their original capacity will become available to use for grid storage at a fraction of the then current price for complete new EV batteries, assumed here to be $80 / kWh. Let's assume we get the complete but degraded battery packs for one third of $80 / 0.7 per kWh = $40 / kWh by 2030. Relying on used batteries may not work well. Many batteries show an initial drop off followed by a long slowly declining plateau. After that it drops off a cliff. If you are going to wait and try to reuse them just before the cliff you'll be disappointed. Not every battery degrades this way but I think it's pretty likely. You are basically right about how storing energy can make intermittent energy sources usable but at high latitudes it will be much more than 5% hydrogen. Wind can't do everything and there is not much sun in the winter there. Nuclear would almost certainly be better and cheaper with less environmental degradation. There aren't many people living at high latitudes. Also, some high latitude countries, e.g. Canada, Norway, Iceland, have a lot of hydro and/or geothermal. The lithium ion battery degradation graph you show represents consumer electronics use where the battery is often fully discharged (or as discharged as the equipment manufacturer lets you take it). The charge rates are usually high, and there's no environmental control to dissipate heat. The rate of cycling is very high - a significant fraction of one per day, because size, weight, capacity and fast charge are more important than lifetime. A phone probably won't be used for more than 24-36 months and having to buy a new battery is cheap and no big deal, so owners do not care too much. So batteries in consumer equipment tend to be highly stressed and there is no competitive advantage to treating the battery ultra-cautiously to make it last longer. By contrast car manufacturers take much better care of EV batteries (as a grid storage company would) and owners of EVs care a lot. The depth of discharge is restricted, the rate of discharge is mostly low, most charging is overnight at a leisurely pace, and the battery pack has a thermal management system (Tesla's is very good, that in the Nissan Leaf not so good). The number of full cycles per year is much less - at an annual mileage of 10,000 miles and 3 miles / kWh the throughput is 3,000 kWh per year, or 60 full cycles per year for a 50 kWh battery. All these things together have a big effect. EV manufacturer Tesla guarantees 80% of advertised battery range for 8 years or 100,000 miles, while for the Nissan Leaf it is 5 years or 60,000 miles. The data shows that Tesla, at least has been conservative and Nissan claims to have had to replace only a handful of batteries so far. from Battery Degradation Level In Tesla Model S Only 5% After 30,000 Miles. For those interested in a more detailed analysis see A Second Life for Electric Vehicle Batteries: Answering Questions on Battery Degradation and Value (NREL). It uses semi-empirical modelling and assumes a 15 year use in automotive, estimating around 10 years life remains thereafter provided depth of discharge is restricted to 50%. The second-user grid use modeled is a 2 hours discharge and 6 hours charge a day for 250 days a year, meant to reflect peak shaving. Hi all: batteries at 10% the cost? What is the factor we'd need to think renewables had a chance? Storage at 1% the cost of today's? Just how many times better does it need to get? Chairman Kevin Moriarty says 1414 Degrees' process can store 500 kilowatt hours of energy in a 70-centimeter cube of molten silicon – about 36 times as much energy as Tesla's 14KWh Powerwall 2 lithium ion home storage battery in about the same space. 1414 Degrees has raised $500,000 of a $2 million seed capital issue that it hopes to complete by the end of next month. It is in talks with a hydroponic herb farm and wind farm suppliers about pilot commercial scale trials of its technology, and is planning a $10 million public share issue to fund construction of the first two 200 megawatt hour units. Mr Moriarty is counting on 40 per cent to 50 per cent of the cost of these initial devices being funded by government subsidies because of the unique technology. The device stores electrical energy by using it to heat a block of pure silicon to melting point – 1414 degrees Celsius. It discharges through a heat-exchange device such as a Stirling engine or a turbine, which converts heat back to electrical energy, and recycles waste heat to lift efficiency. Pure silicon is a shimmering, blue-grey "metalloid" – a substance that exhibits characteristics of metals and non-metals. A byproduct of smelting metal quartz ores, it is abundant and cheap. It is attractive as a storage medium because it is stable at the 1414 degree melting point, and can hold the heat for a week or two with adequate insulation although 1414 Degree's devices are designed to charge and discharge daily. If the claims stand up at commercial scale the molten silicon storage device could be one of the technological breakthroughs that make it cheaper to store energy from wind and solar farms. This could smooth out their intermittent generation and also help prevent or isolate blackouts from transmission failures during storms such as the one that hit South Australia in September. Still, 1414 Degrees is only one of a growing number of companies seeking to push the frontiers of storage technology in Australia and win a role in the the energy grid of the future, which is evolving from one dependent on "baseload". Rather than just sell its storage devices, 1414 Degrees wants to enter into joint ventures with customers – or partners – and share in the benefits. For example, Mr Moriarty said its devices could increase the revenue of a wind farm by 25 per cent, through increased output and exploiting higher wholesale prices when the wind isn't blowing. For a hydroponic farm, it can provide heat as well as electricity. Eclipse, once more you have pasted in a splurge of someone else's opinions. On opening what is supposed to be a friendly discussion area, we get hit with a confronting sales pitch. Please replace it with a link to its origin, leaving only your writing. After all, we have gone to that page in order to read your opinions. We haven't bargained on copping someone else's! I want to read that say, you are wondering if it is possible for molten silicon to deliver ten times as much electricity as lithium batteries, dollar for dollar. Then we can choose to engage with you. You see, it is your voice that we have chosen to listen to, not some unknown salesman whose argument we might resent. If you have explained yourself clearly enough, we won't need to see the possibly offending material at all.